760 pages | 50 Color Illus. | 119 B/W Illus. 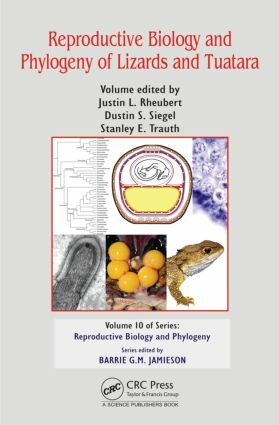 Reproductive Biology and Phylogeny of Lizards and Tuatara is a remarkable compendium of chapters written by the world's leading experts from over four continents. The book begins with a chapter recounting historical discoveries in reproductive biology and a review of phylogenetics and up-to-date hypotheses concerning evolutionary relationships among lizards. Following these chapters are detailed reviews with additional new data concerning chemical communication, sexual selection, reproductive cues, female reproductive anatomy, female reproductive cycles, oogenesis, parthenogenesis, male reproductive anatomy, male reproductive cycles, spermatogenesis, reproductive investment, viviparity and placentation, multiple paternity, and parental care.